My thanks to Flatiron Books and NetGalley for sending me an ARC of this book in exchange for an honest review. All opinions are my own and are not influenced by the publisher. This book threw me though a loop. For about a third of it, I wasn’t sure if I’d like it at all. It felt very slow getting started and I wasn’t feeling very invested in the mystery yet. However, having read and loved Jane Harper’s previous work, I stuck it out, and I’m so glad I did. If you pick up this book and it doesn’t grab you right away, do yourself a favor and keep reading, because I can promise it’s worth it. Like Harper’s prior two novels, The Lost Man is richly atmospheric. The Australian outback almost seems to be another character in the novel, with heavy emphasis on the ways the harsh wilderness impacts the daily lives of each of the characters. There is a strong sense of community by necessity. Nathan, the protagonist, for reasons that are revealed later in the novel, has been cut off from this community, and it takes its toll in various ways, from the practical to the psychological. Harper has done a remarkable job of writing morally grey characters in this novel. We know early on that Nathan has done something horrible enough to warrant being shunned by his community, but we spend a lot of the novel not knowing what this is. As the plot progresses, Harper reveals not only Nathan’s past mistakes, but those of many of those around him. The story explores the many ways that humans can be flawed, how we excuse one another’s flaws, and the ways people lash out when hurt. Nathan starts out viewing many of those around him through rose-colored glasses, but by the end, his perception feels raw and real. This review is brief and kind of vague, because I truly feel it’s best to go into this book as blind as possible. The blurb gives you very little idea what to expect other than some sort of mystery surrounding Cameron’s death. What follows is a really interesting blend of mystery, suspense, and family drama. The characters within this story and the moral questions they raise will stay with me for a long time to come. Thank you for reading! Have you read any of Jane Harper’s work? Please share your thoughts in the comments! The hike through the rugged Giralang Ranges is meant to take the office colleagues out of their air-conditioned comfort zone and encourage teamwork and resilience. At least, that’s what the corporate retreat website advertises. The four returning women tell Falk a tale of fear, violence and fractured trust during their days in the remote Australian bushland. And as Falk delves into the disappearance of Alice, he begins to suspect some dangers ran far deeper than anyone knew. In The Dry, the mystery was incredibly personal for Falk; the man accused of killing his own family was Falk’s closest childhood friend, Luke, and solving the mystery would either clear Luke’s name or reveal how little he ever really knew him. The stakes are slightly less personal in Force of Nature, but still quite high-pressure. The missing woman, Alice, was meant to turn over documents that Falk urgently needs for an ongoing investigation. The result is a gripping, desperate pursuit that makes for an engaging read. The novel can basically be divided into two parts, which alternate throughout the story: Aaron Falk’s perspective, starting after Alice has gone missing, and flashback scenes to the retreat where the disappearance took place. The latter varies in perspective, and we get to know each of the women who were lost in the bushland with Alice. The tension is high from start to finish, from Falk’s work pressures to the hysteria-inducing panic of being lost in the Australian wilderness. 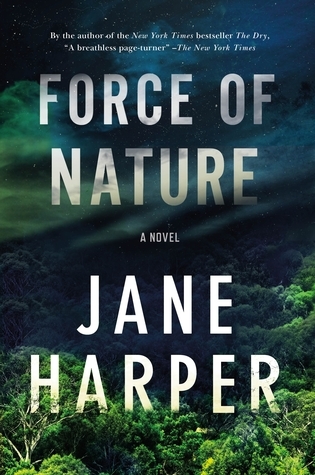 Both of Harper’s novels have been highly atmospheric; the Australian landscape can begin to feel like a character on its own, raising the stakes and pushing the characters to act. 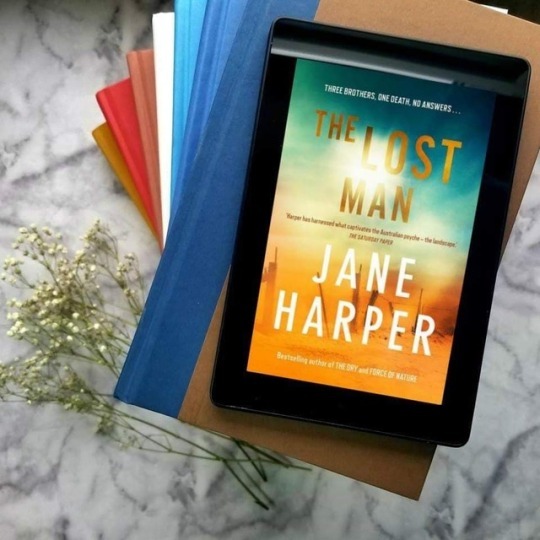 With plenty of red herrings and twists galore, Harper manages to pull off a shocker of a conclusion which will keep the reader guessing until the end. Thank you for reading! Have you read either of Jane Harper’s novels? Share your thoughts in the comments!